This Blink Signature Mink lash tray come with over 4,500 lashes. These lashes are imported synthetic fiber lashes which are the most luscious, high gloss looking lashes in the market. These lashes are black, silky, and curled to perfection; just like 100% mink fur lashes. This mink lash tray gives you all the lash lengths needed to create any look or style of custom eyelash extensions. Create stunning eyelash extensions just like all the celebrities are wearing with these lashes! 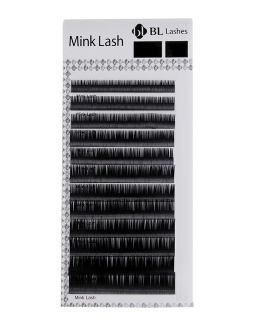 This product is our #1 favorite and a must for the lash artist!